The author of this premium Lagos Nigeria real estate investing web site is Samson Itoje. Samson Itoje is a real estate investor with focus on Lagos Nigeria real estate as well as real estate in surrounding states like Ogun state Nigeria. Samson Itoje is the CEO of Erimama Investment Company Ltd . . . a real estate investing and portable cabin manufacturing company based in Lagos Nigeria. Samson is also a prolific writer. He is the author of several books, the author of several knowledge-based web sites and a loving family man. Samson Itoje is passionate about real estate investing. Samson understands the beauty and freedom of building your own house because he is also a landlord (or property owner) in Lagos Nigeria. Moving into your own home is liberating. There is this deep-seated feeling of freedom that overtakes you when you buy (or build) your first house. Samson wants to help as many people as possible experience that exhilarating feeling of becoming a landlord. 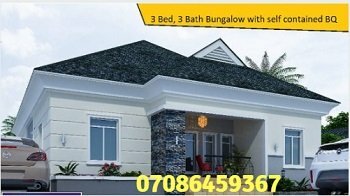 That is why he built this Lagos Nigeria real estate web site to provide an easily accessible platform for people to obtain Lagos real estate investment information and become property owners sooner. That is how Erimama Investment Company Ltd was born. And we are happy to help you buy your dream property in Lagos Nigeria. Thinking of buying or building a house? Want to buy a portable cabin or prefab home? Helping People Succeed Is My Goal! Samson's goal is to help people make the most of their financial resources and build a home . . . their dream home. It's wonderful to live in a big rented apartment especially if your company is paying for it. It's great to have a beautiful car . . . a car that matches your class, position, and status. But please remember that cars depreciate with age, no matter how beautiful they look when you first buy them. And with the bad roads in Nigeria, the depreciation in value occurs even faster. So, whatever it is you do, please build your own home and become a landlord in Lagos. A house appreciates in value, year in year out. Real estate investing is something you will never regret. This web site teaches you how to invest in Lagos Nigeria real estate for maximum profitability. So, explore and enjoy.